A campaign worker was recovering Monday after being shot in the leg while campaigning for 15th Ward aldermanic candidate Joseph Williams on Sunday. Maxwell Little was going door to door to garner support for Williams when the shooting occurred at about 1:45 p.m. in the 6600 block of South Marshfield Avenue in the city’s West Englewood neighbourhood. Little was on the sidewalk and streaming on Facebook Live when a man wearing a red mask shot him. The video shuts off just as he was shot in the leg. 11-year-old Spencer Kline from Sandwich Illinois decided to like a frozen pole while sledding. Friends of Kline called for help but he was able to pry himself off the pole before emergency crews arrived. Big John and Ramblin’ Ray just want to make sure that you shouldn’t try everything you see in the movies. Are you on the search for an active, attentive pal who is full of energy? Then Helena may be the girl for you! She is playful and affectionate and loves to play fetch and snacking on treats! This one-year-old Terrier Mix would be a great walking partner because she can go for miles! She loves to give her owner kisses and to be close to wherever you are. Helena doesn’t like when her humans are gone most of the day. 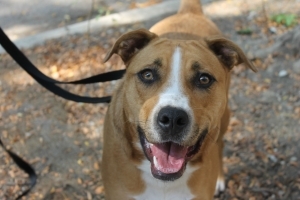 She aims to please, so she’d like a home where she will receive continued training. Helena has most recently been working on crate training and enjoys that! Helena is a strong pup who is looking for an experienced owner. She prefers to be the only dog in the home and would also do best with family members 15 and older. Helena will be available for adoption tomorrow, Saturday, December 1st at a special suburban dog adoption event at the Walter E. Smithe Oak Brook Showroom, located at 1501 16th Street. PAWS will be bringing larger dogs like Helena, and some puppies who are in need of homes and space to run and play. Stop in from 12-3pm to meet the dogs, talk with PAWS, and take home your new best friend! The 10th Annual Beverly Hills Turkey Trot 5K Run and Family Walk will be held on Saturday, November 24, 2018. Proceeds will benefit the 19th Ward Youth Foundation and the John McNicholas Pediatric Brain Tumor Foundation. Alderman Matt O’Shea talks about why you should join and how you’d be helping the community with Big John and Lauren Cohn. Plus they dive into Chicago politics a bit, specifically the mayoral race. Photo was taken by 20-year-old Kellan Hendry from Long Ranch in Simi Valley. Check out the Big John and Ramblin’ Ray podcasts for the latest on what’s happening in California. Big John and Ramblin’ Ray teach us about a house in Fresno California that got some serious fire damage in the fight to kill a spider. Also learn about Ariana Grande’s love for her pet pig, Megan Kelly’s controversial comments, and the move for Halloween to always be on a Saturday. Big John and Ramblin’ Ray are joined by Bill Cameron, from Connected to Chicago, where they talk about the upcoming elections and the divided between Republican’s and Democrats. This weeks guest on Connected to Chicago is Mayoral candidate Amara Enyia listen in Sunday night at 7 pm. Want a sweet treat? Look no further than Caramel! She is a one-year-old Catahoula Leopard dog mix who is looking for an owner who loves to run or walk daily to help her exercise some of her excess energy! Caramel can be a little shy at first but once she warms up, she will be your best buddy for life! She would do best in a moderately active home with adults and no other pets so that she can be the center of attention. Her dream home would have a yard she can play in! Caramel would thrive in the hands of an experienced owner who will continue training. Meet Caramel today at the PAWS Chicago Lincoln Park Adoption Center, located at 1997 N. Clybourn Avenue in Chicago. For more information, visit pawschicago.org or call 773-935-PAWS. Join PAWS Chicago for a “sweet” Halloween adoption event at Dylan’s Candy Bar this Sunday, October 28 from 12-3pm. Meet adoptable puppies and dogs at 633 N. Michigan Avenue! Big John and Ramblin’ Ray teach us about an Elmhurst musician, who was hitchhiking in Australia, and gets unexpected helicopter lift from ‘Thor’ actor Chris Hemsworth. Plus, learn how it’s trout season and that 2 more bombs have been mailed today, one to Robert De Niro another to Vice President Mike Pence. Big John, Ramblin’ Ray, and NY Post author Michael Goodwin discusses the latest news stories. With the bombs that are being found addressed to political leaders, and the insensitive comments that have been made comparing it to 9-11. Plus his latest article in the New York Post, Liberals won’t admit Trump was right about migrant caravans. Big John and Ramblin’ Ray have Music Director Al Pitrelli, from the Trans-Siberian Orchestra, describe what’s in store for audience members this holiday season. ‘The Ghost of Christmas Eve’ tour will be playing the best of TSO and more. You’ll have two chances to see them on December 28th at the Allstate Arena. Grab your tickets for the Trans-Siberian Orchestra this holiday season!